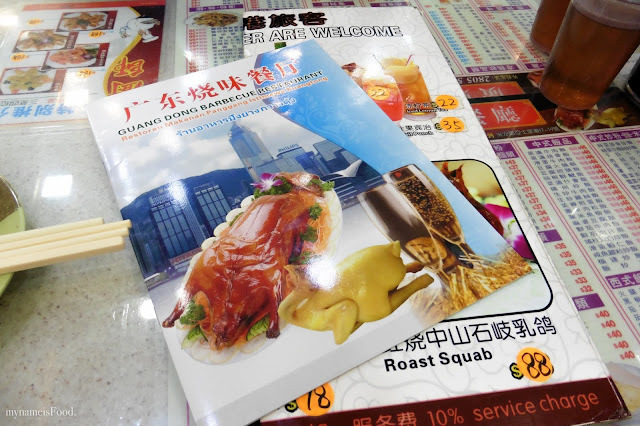 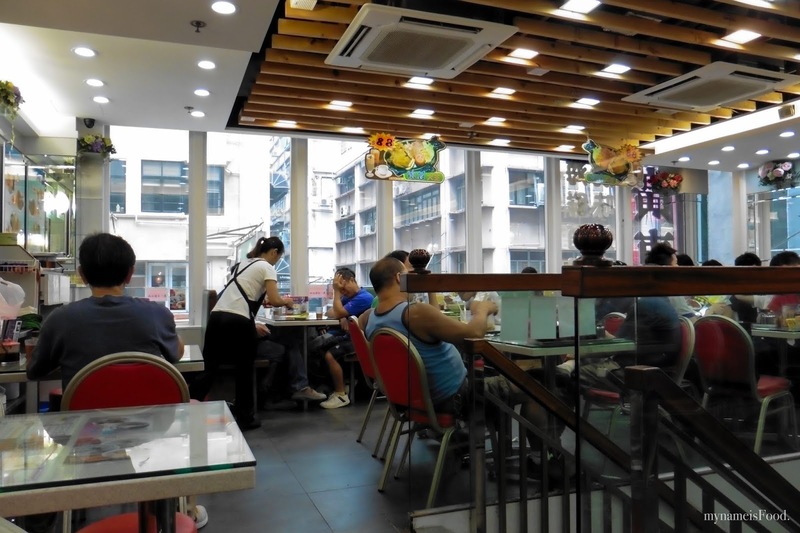 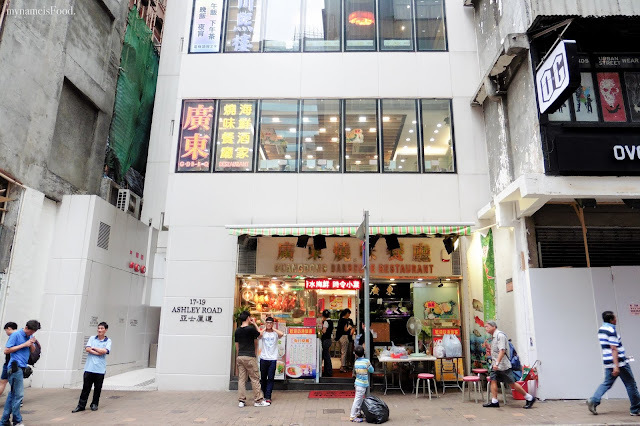 Guangdong Barbecue Restaurant - Tsim Sha Tsui, Hong Kong - my name is Food. 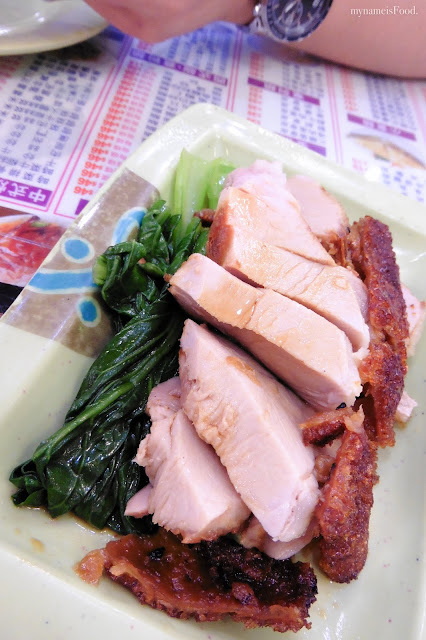 Imagining the roast pork would be the same as back here in Aussie, we weren't expecting what we received. 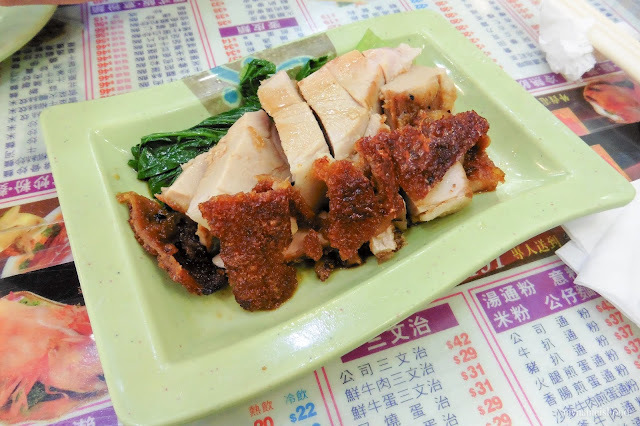 Roasted Pig with crispy skin was very very oily which since we didn't order just plain steamed rice, seemed a bit too sickening? Not sure if that should be the word used but a bit here and there was fine at first but after the first few, it just felt a bit heavy. 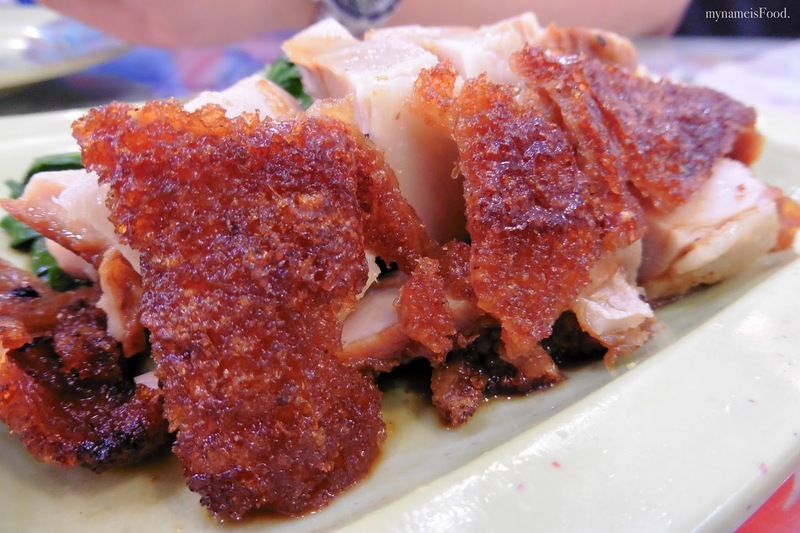 The crispy skin was not as crispy and was again, oily. It seemed a bit rubbier too. 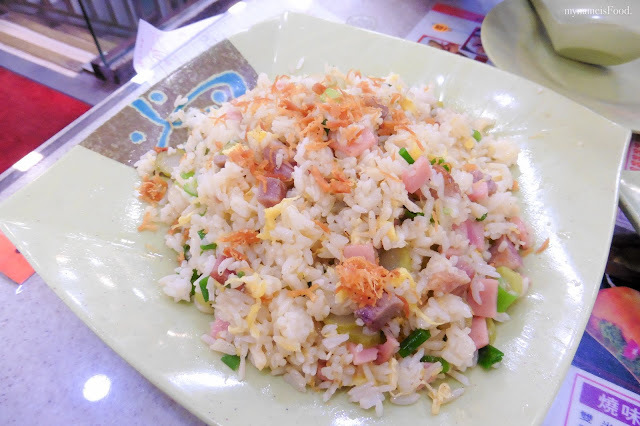 To accompany our pork, we ordered Yeung Chau Style Fried Rice with Dried Scallop. 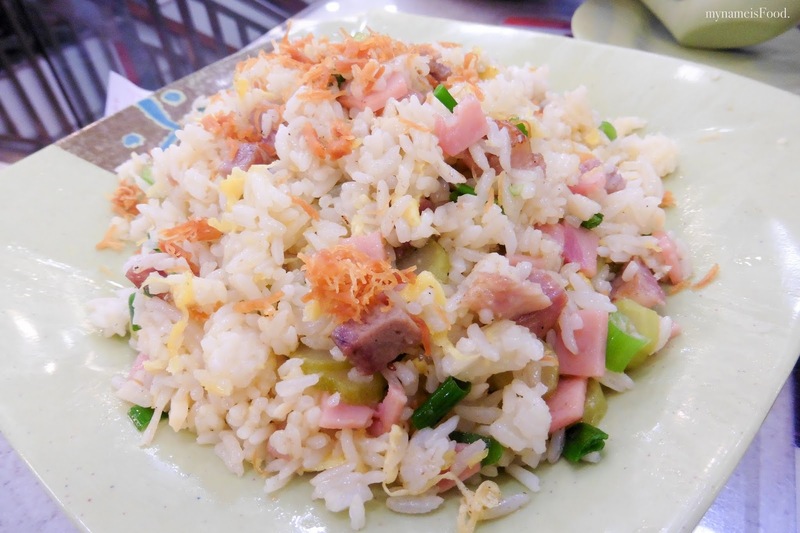 It looked a bit oily at first and we were hoping for it to not be too oily, but it was slightly oilier than we hoped. Being able to taste the dried scallop and the ham, it didn't really need any more saltiness. 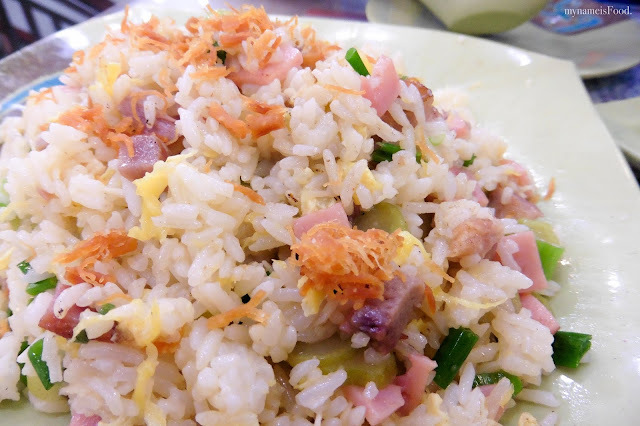 The simple shallots and egg mixed in well with the fried rice.